Tony began his real estate career 15 years ago in the banking industry as a mortgage underwriter and was quickly promoted to account executive. 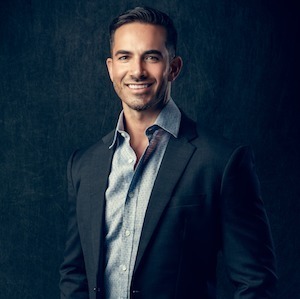 He decided to get his real estate license to become an agent and then a broker so he could share his knowledge and passion of real estate with his valued clients as they make some of the most important investment decisions in their life. Tony is an active member of TAN (Top Agent Network). Membership is invitation only for the top 10% of agents in the area because this top 10% is responsible for 90% of market activity. His membership allows him to create and access pocket listings, which are properties that have not yet hit the market. This is advantageous to buyers because they can view desirable properties before everyone else and for Sellers this produces valuable feedback from top brokers as a way to test the marketplace. Tony has also expanded his business to include design and construction services and has built a team that is ready and available to help clients with everything from minor repairs to total home rehabilitation. Having sold more than $5M in renovated properties for personal investments, Tony has the expertise to do the same for clients as they seek to achieve their vision of a dream home and/or maximize property value for resale. With his comprehensive real estate sales and development background in Chicagoland, Tony is an incredible resource and seeks to bring his understanding of real estate to all of his clients; his top priority is that their home buying, selling, or renovation process is a relaxed, enjoyable, and financially rewarding experience and his many glowing testimonies reflect this.